We craft this item from one single piece of solid pine wood. It is hand-sanded satiny smooth and finished with 100% pure and natural olive oil for best protection and luster – that keeps the natural look and feel of the wood and allows it to breath. Awesome name puzzles! Thanks your sharing! Find many amazing gifts here. They are handmade from beautiful white pine wood. They are also polished by hand to look amazing. 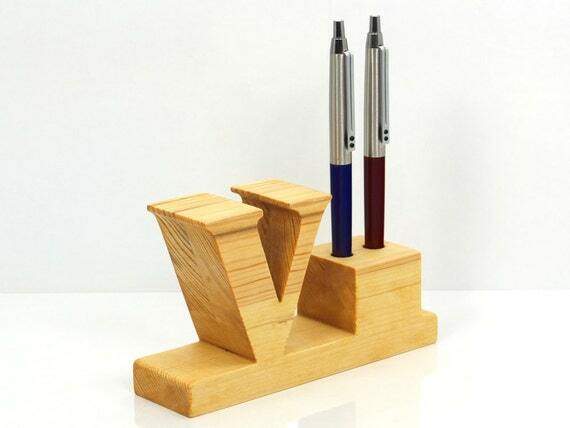 Personalized unique pen and pencil holders. Surprise the people you love with this amazing gift. Find out more wooden gifts here in the blog or in the website.